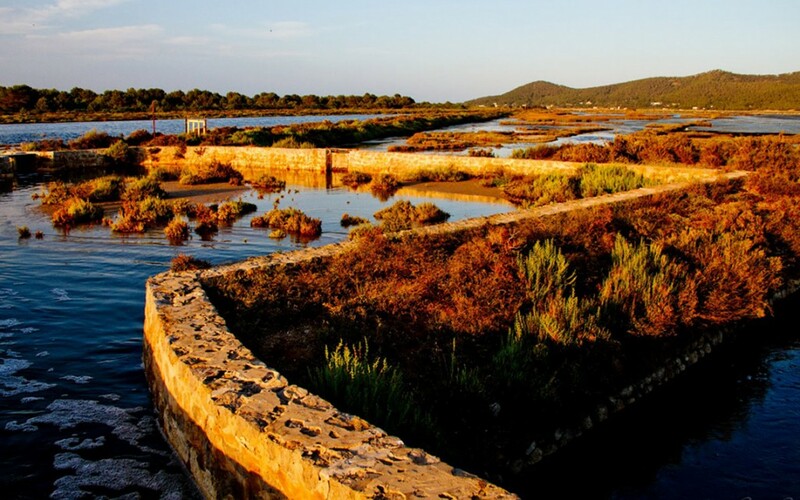 The Natural Park of Ses Salines, also known as Las Salinas, is a protected area located encompassing parts of South East Ibiza, the North of Formentera and the sea and islands in between. It covers an area of ​​16,000 hectares, of which 13,000 are marine. 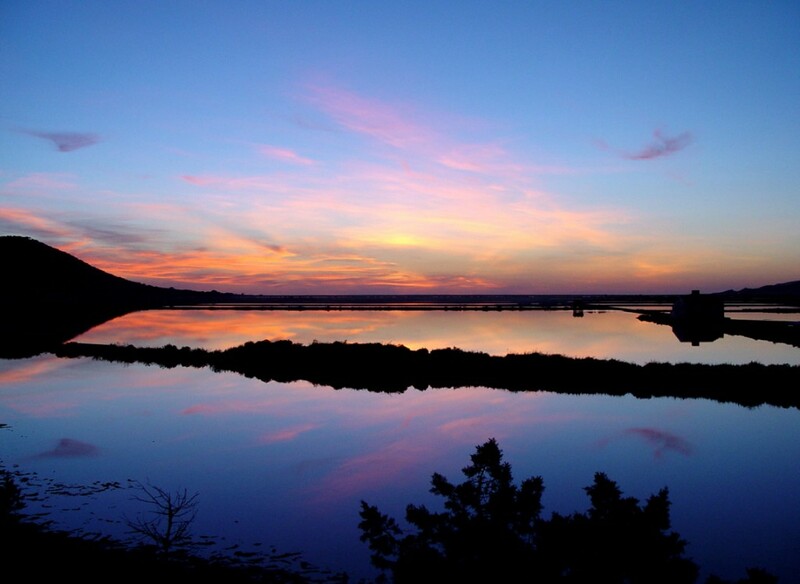 The Natural Park encompasses the wetlands of Ses Salines in the south of Ibiza, s’Estany de Peix and s’Estany Pudent, in northern Formentera, es Codolar, Las Salinas and Es Cavallet beaches in Ibiza; and the Peninsula des Trucadors of Formentera, where the beaches of Illetas and Llevant are situated. The maritime space occupied by the Natural Park of Ses Salinas also includes Es Freus, the strait that separates Ibiza and Formentera, in which you can find a stretch of islands of which Espalmador is notable for its central lagoon. Mud bathing in the margins is now prohibited however viewing access is still permitted using the designated routes. Ses Salines has held the National Park designation since 2001, although it has been a natural reserve since 1995. In the map insert on the page at the end of this article the red areas are designated as ‘natural reserve’ and the green ‘natural park’.The Oceanic Posidonia prairies found in much of its length were declared a World Heritage Site by UNESCO in 1999. For centuries, the most important industry in Ibiza was the extraction of salt. This seasoning was very precious in times when it was used to preserve meat over long periods of time. Ibizan salt was, and is, of excellent quality and the people of Ibiza took advantage of the industry at their disposal. The salt mining began in Phoenician times several centuries B.C. and continued and improved with the various civilizations that passed through the island. Phoenicians, Carthaginians, Romans, Muslims and Catalans all capitalised on the island’s natural saline resource. Salt was a spice of utmost importance. In fact, the word salary derives from salt, a mineral used in Roman times as a payment system. The Christians created and divided most ponds at Ses Salines Natural Park, which we see today through a system of locks. This irrigation system enabled them to spread the water over larger areas with very shallow depth, facilitating the evaporation of water and maximising salt extraction. The location of Ibiza, in a strategic point in the Mediterranean Sea, and the paramount importance of the salt was the basis of Ibiza’s economic survival over several centuries. The Universitat, the highest political body of Ibiza for centuries, was responsible for managing the industry until the War of Succession in 1715, when it became part of the Crown. In 1871, Ses Salines were acquired by a Mallorcan company, now under the name of Salinera Española (Spanish Salt Mine), which continues to operate economically to this day. Currently, the salt extracted at Ses Salines Natural Park is used for many purposes: Domestic cooking salt (both in rock and fine varieties) and dishwasher salt. It is also exported in large quantities to Northern Europe (Iceland, Norway, Faroe Islands, UK, etc. ), for use in salting roads during winter. From the beach of Las Salinas you can see the loading bay of Sa Canal where the salt, which still remains the largest export of Ibiza after nearly 2,800 years, is shipped. The Natural Park includes all of the different ecosystems found in Ibiza. The park’s diversity warrants it’s status as one of the most important natural habitats in the Mediterranean. On land there are 178 species of plants including Mediterranean pinewoods, coastal savins, plus Arthrocnemetum Fruticosi and halophilous plants. 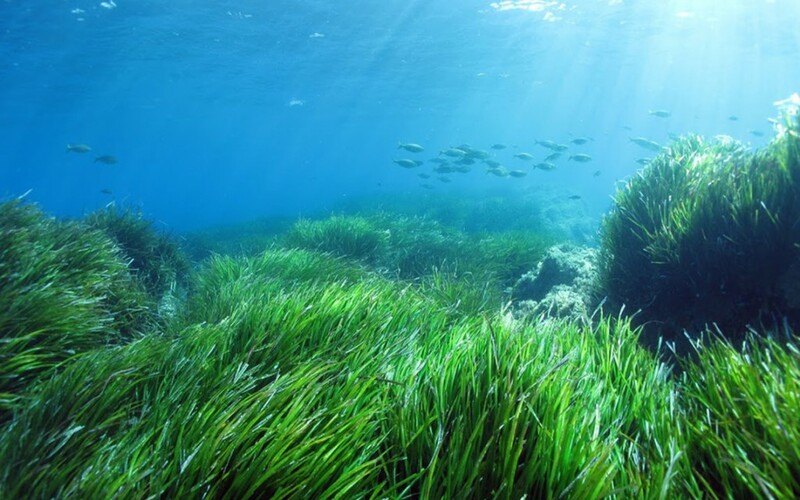 The underwater meadows of Posidonia Oceanica are particularly important. Considered by many as an algae, it is a marine plant that provides shelter to many aquatic creatures and plays an important role in oxygenation, water filtration and defence against coastal erosion. It is the Posidonia that results in the quality and clarity of water in the beaches of Ibiza and Formentera. This ecosystem is considered the world’s largest living thing. Ses Salines is important to many birds on their migration. 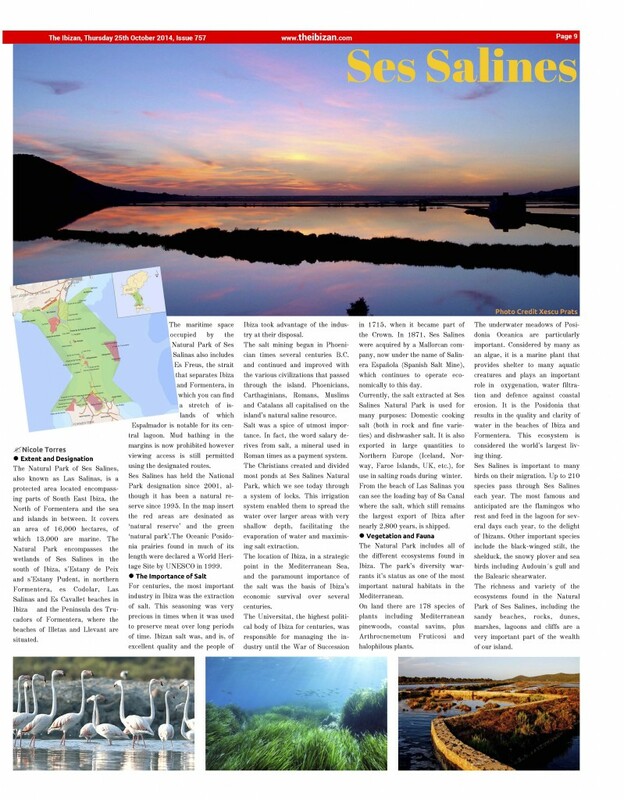 Up to 210 species pass through Ses Salines each year. 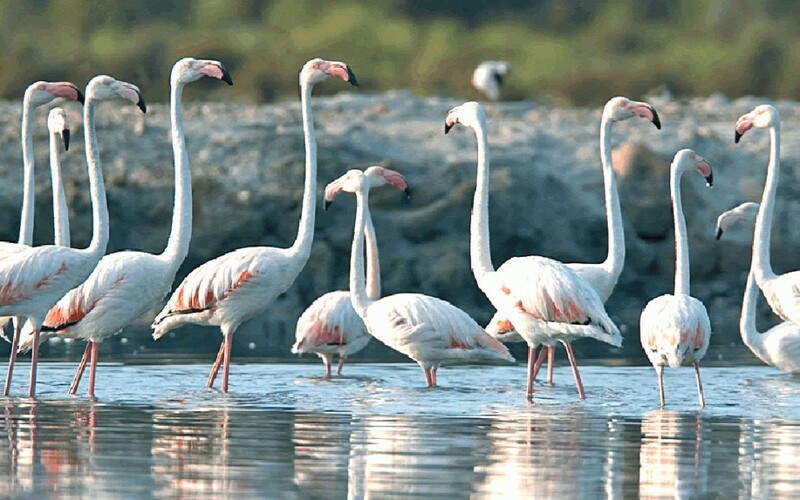 The most famous and anticipated are the flamingos who rest and feed in the lagoon for several days each year, to the delight of Ibizans. Other important species include the black-winged stilt, the shelduck, the snowy plover and sea birds including Audouin´s gull and the Balearic shearwater. The richness and variety of the ecosystems found in the Natural Park of Ses Salines, including the sandy beaches, rocks, dunes, marshes, lagoons and cliffs are a very important part of the wealth of our island.